0	0	Fire And Bread	In Stock - Order before 4pm for same day dispatchWant it on Wednesday 24 April? This book of Eastertide resources covering the period from Easter Sunday to Trinity Sunday is a follow-up to Ruth Burgesss previous popular collections of material, such as Eggs and Ashes, Candles and Conifers and Hay and Stardust. It offers prayers, responses, liturgies, songs, poems, reflections, meditations, sermons and stories, all written by the Iona Community. It is suitable for use by groups or individuals. Fire And Bread by Ruth Burgess was published by Wild Goose Publications in March 2007 and is our 17421st best seller. The ISBN for Fire And Bread is 9781905010301. Fire and Bread will be eagerly welcomed by anyone who has drawn upon previous Iona Community resource collections. 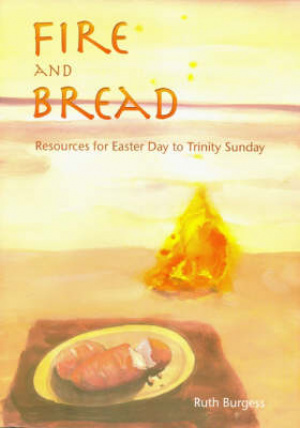 The wide range of liturgies, songs, prayers, reflections, meditations and stories cover Easter Day to Trinity Sunday with additional useful sections e.g. ,Being Church. Connecting contemporary experience and the Gospel, these materials are challenging, provocative, and deeply affirmative. There are fresh and arresting words, for singing to familiar tunes .Ascension Day is the weakest section yet Pentecost has a feast of stirring Holy Spirit ideas. Whether preparing a meditative service or spicing up a more traditional liturgy, used with discernment, this book will valuably resource worship, personal and shared, that is fresh and engaging. Got a question? No problem! Just click here to ask us about Fire And Bread.